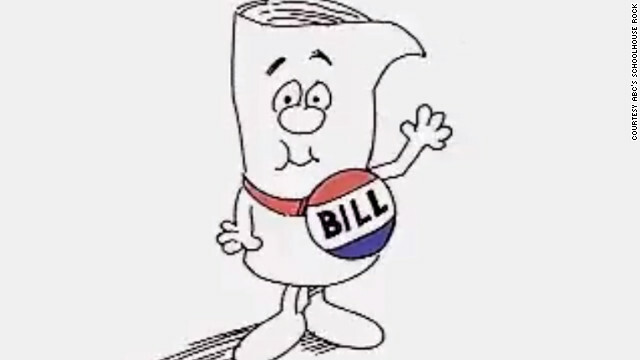 Washington (CNN) - "I'm just a bill. Yes I am only a bill. And I'm sitting here on Capitol Hill." "Conjunction Junction, what's your function." "My hero, zero." "Lolly, Lolly, Lolly get your adverbs here." These are some of the lyrics that live on 40 years after they premiered on Saturday mornings on ABC television as part of "Schoolhouse Rock." Requiring background checks on all gun purchases, AND not selling guns to the mentally ill just seems like common sense. I cannot imagine how anyone could find fault with that. Of course, background checks won't be carried out for all private sales even if required.